I have followed the stock for eMagin for years, and finally gave up on it for good a couple years ago. But my technical indicator shows a possible upside move in the offing. 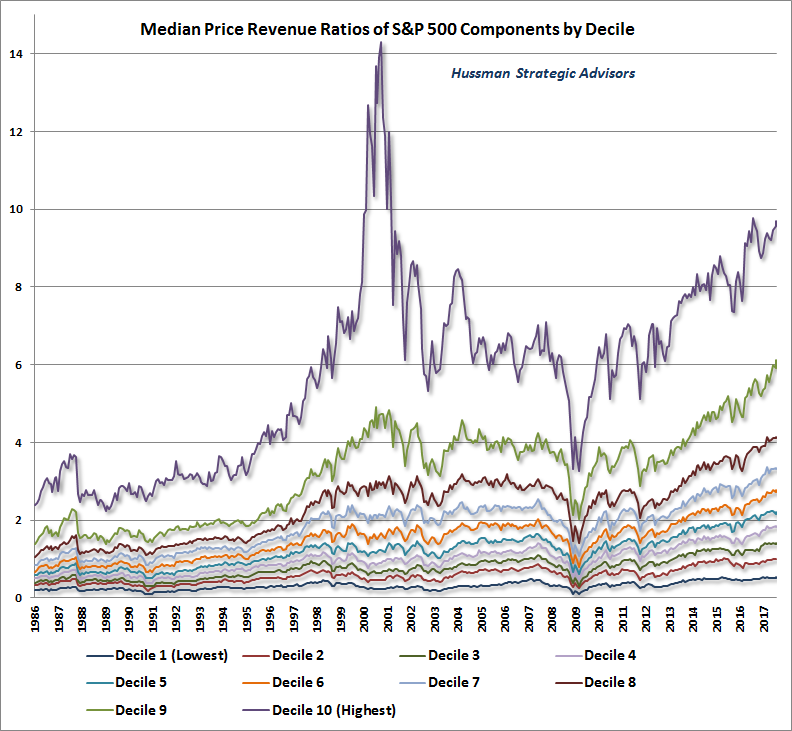 There are lots of commentators arguing both sides about whether or not we are at peak stock market valuation. Certainly there is evidence that the market is richly valued, yet the market still goes up. Note that the mid to low valuation stocks are at higher levels than in 2001, showing the market is much more broadly expensive than when the tech stocks were all the rage. One analysis of this could be that this is all due to the lower bond rates, and by comparsion to current bond rates the market is in an expected valuation range (kind of reminds me of the old joke about a guy bragging to his friend that he just bought a dog for $20,000 – when asked how he paid for it, he said ‘I gave the seller two $10,000 cats’). Valuation is relative. So this doesn’t tell me conclusively that the market is at a top. Indeed, John Hussman had a similar market top article a year ago, and the S&P 500 is up over 13% since then. My current leaning is a major market correction will happen before the next presidential election, but I don’t currently see any signs within the next 6 months. I will agree though that we are in risky territory.